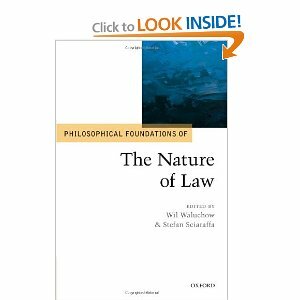 Se acaba de publicar Philosophical Foundations of the Nature of Law editado por Wil Waluchow y Stefan Sciaraffa (McMaster University). Incluye entre sus contribuyentes a Mark Murphy, Bruno Celano, Ken Himma, Andrei Marmor, Matthew Kramer, Kenneth M. Ehrenberg, Arien Rosen, Imer Flores, Robert Hughes, Natalie Stoljar, David Enoch and Kevin Toh, Andrea Dolcetti, Giovanni Batista Ratti y Dan Priel. Sin duda, una de los libros del año. In recent years we have witnessed major developments in philosophical inquiry concerning the nature of law and, with the continuing development of international and transnational legal institutions, in the phenomenon of law itself. This volume gathers leading writers in the field to take stock of current debates on the nature of law and the aims and methods of legal philosophy. The volume covers four broad themes. 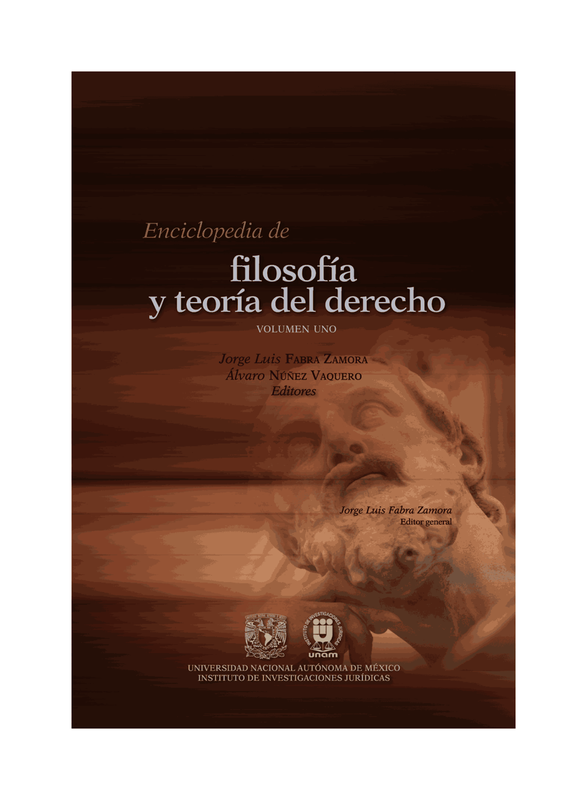 The essays within the first theme address and develop the traditional debates between legal positivism, natural law theory, and Dworkinian interpretivism. Papers within the second theme focus on the power of coercion, often overlooked in contemporary legal philosophy. The third set of papers addresses the aims and methods of legal theory, and the role of conceptual analysis. The final section explores new methods and issues in the subject, and offers fresh starting points for future work in the field. Gathering many leading and up-and-coming writers in the subject, the volume offers a snapshot of the best current work in general jurisprudence. Wil Waluchow is a Professor in McMaster's Department of Philosophy, the Senator William McMaster Chair in Constitutional Studies, and an Adjunct Member of the Graduate Faculty of Osgoode Hall Law School, Toronto. His BA and MA in philosophy are from the University of Western Ontario (Huron University College) and his DPhil in the philosophy of law is from Oxford University, where he studied under the supervision of H.L.A. Hart. His current research interests are in general jurisprudence and the philosophy of constitutional law. He is the author of numerous books, including Inclusive Legal Positivism (OUP, 1994) and A Common Law Theory of Judicial Review: The Living Tree (CUP, 2007). Stefan Sciaraffa is Assistant Professor in McMaster's Department of Philosophy. He specializes in the philosophy of law and social, moral and political philosophy. He received a J.D. from the University of Texas and a Ph.D. in philosophy from the University of Arizona. He practiced law as an associate with the commercial litigation section of Akin, Gump, Strauss, Hauer & Feld, LLP.